Choosing a baby name is a very important tradition. Names beginning with O are not all that common, but some families love the fact that they sound rather exotic. Names that start with O can be very classic and traditional, or they can be very modern and trendy. These names beginning with O offers the best of all worlds for parents who are having trouble figuring out what to name their children. Oakley. Reminiscent of oak wood, this is exactly what the name means: Oak wood. It is from the English. A few names that might also fit with this one are "Oaklee" and "Oakleigh." The name is most common known for a popular brand of sunglasses. Olivier. Among names that start with O for a boy, this is one of the most popular ones. It refers to the olive tree, and other than "Olive," there are few names like it. The closest companions of rulers were given this name, and today it is most common in France. Olaf. When seeking unusual names that start with O, look no further than Olaf. This extremely old-fashioned name is from the Norse and actually means "ancestor." It can also mean "descendant of the family." It has been the name of many kings, so this is a royal name to give your little boy! Odell. This unusual name is from the English and refers to nature – it might mean "of the valley" or "woad hill." Woad hill is a term derived from the name of an old-world plant that creates blue dye. If you have a penchant for the color blue, this particular name might work for your child. Owen. This Celtic name means "young warrior," and it has become quite common in recent years. Among names beginning with O, this might be the most common for boys. There are numerous celebrities with this name, including the movie star Owen Wilson. Omar. This is an exotic name that also happens to be a Biblical one. It is from the Arabic and means "life" or "thriving." This has become a popular name for celebrity babies, including Omar Gooding and Omar Epps. Oz. Of all the names starting with O, this might be the oddest one yet. The name is from the English and the Hebrew, and can mean "powerful" and "courageous." It brings to mind the movie The Wizard of Oz, and the "great and powerful" Oz character. Otto. This old-fashioned name is from the German and means "wealthy." The Swedish also claim it as the origin of Otto. In other countries, the name can also be Odo, in the modern form. 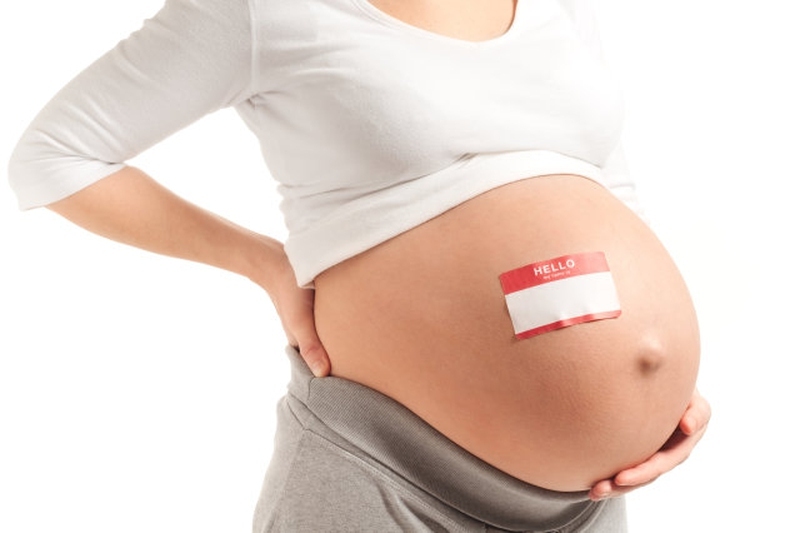 This exotic name can make your baby have a name that is very unique and not considered by many other parents. Orlando. It's not just a place! Orlando is from the Italian and Spanish, and means "renowned in the land." Someone with great power might be named Orlando. It is also a Shakespearean name, as well as one that is considered exotic and literary. Odin. This unusual name has a powerful connotation; Odin is the Norse god of war and death, as well as poetry and culture. Your child will have a great deal of growing to do to live up to this stately name! Olivia. This is the female version of "Olivier," or even of "Oliver." As you might imagine, the name is derived from the Latin for the olive tree. This name is quite common, with actresses like Olivia Wilde and Olivia Newton-John boasting it. Ophelia. This Greek name means "to help." It has been used widely for many generations, and was even used in the great Shakespeare play, Hamlet. The name also brings to mind ancient gods and myths. Octavia. Made most popular by actress Octavia Spencer, this name comes from the Latin and means "eighth," which refers to the eighth month – August. That's because it was the original surname of the emperor Augustus. Orlagh. This highly unusual name means "precious princess" in the Gaelic. The original spelling is Orlaith and sometimes Orla is also used as a substitute. This is a very common name in Ireland, but not so much in the United States. Orla. This name related to Orlagh means the same in Gaelic: "precious princess." This is a bit more popular among parents right now, probably due to the easier spelling of the word. Orla is also the name of a famous journalist in Ireland. Olga. A name once common in Sweden, it is from the Norse and means "holy." It is also a variant of the name "Helga", which is quite common in Russia. In fact, Saint Olga was a Russian saint, and many parents have been inspired to name their babies after her. Omari. Of names starting with O, this one might have some of the strongest religious undertones. The name comes from the Swahili and means "god the highest." There are some variations of the name as well, such as Omar and Omer, which are usually reserved for boys. Oriana. From the French, this name has many meanings, including "dawn" "sunrise" and "gold." All quite queenly meanings! And it is fitting, since Queen Elizabeth the First was referred to by this name quite often during the 16th century. Ocean. Of names beginning with O, this one doesn't have much backstory. It means what you might think: the Ocean! This is an English name that has become more common in the U.S. in recent years, but has yet to catch on with the rest of the world. Olivia-Grace. This name incorporates "Olivia," which means "olive," as well as "Grace," which means "effortless beauty." Many names like this are called 'double-barrel' names because they combine two names that mean completely different things, creating a beautiful name for a baby girl. Server responsed at: 04/19/2019 9:18 a.m.